Shri Guru Ravidass Satsang Bhawan, Dera Bal. 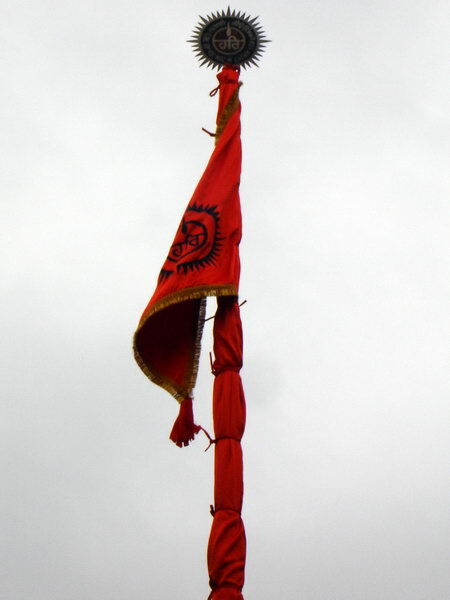 Sat sangat mil raheeye maadho Jaise madhup makheera. It has been the tradition of this Dera to hold daily, weekly, monthly and annual gatherings for holding religious discourses. Baba Pipal Dass Ji used to hold small gatherings in village Bal and inspired the audience to inculcate noble values in their life and be a valuable member of society and to worship God. Sant Sarwan Dass Ji held Satsang daily in the morning and the evening. Monthly Satsang was held on the Sankranti day in the open place of the Dera under the trees. Sant Hari Dass Ji also continued the tradition of usual religious gatherings. Sant Garib Dass Ji was the first saint of the Dera who visited England for the first time in 1985. Qaumi Amar Shaheed Sant Rama Nand Ji also accompanied him. Thereafter, he visited United State of America and Canada several times. Qaumi Amar Shaheed Sant Rama Nand Ji always accompanied Sant Garib Dass Ji to the foreign countries. In this process the number of followers of this Dera swelled manifold. The number of devotees in the daily, weekly and monthly Satsangs increased considerably. Need of a Satsang Hall was felt during the period of Sant Hari Dass Ji. A spacious Satsang Hall named Sant Hari Dass Satsang Hall was built in the Dera premises in the year 1977. The religious meetings and Kirtan were held in this building even up to the year 2000. As a result of extensive touring by Sant Garib Dass Ji and later by Sant Niranjan Dass Ji along with Qaumi Amar Shaheed Sant Rama Nand Ji both in India and abroad for spreading Guru Ravidass Mission, the number of followers of the Dera increased to a huge number. It was not possible to accommodate the gathering in Sant Hari Dass Satsang Hall. An unexpected whirlwind, hailstorm and rain disturbed many functions. In the interest of smooth celebration of the functions necessity of a very big Satsang Bhawan was felt. 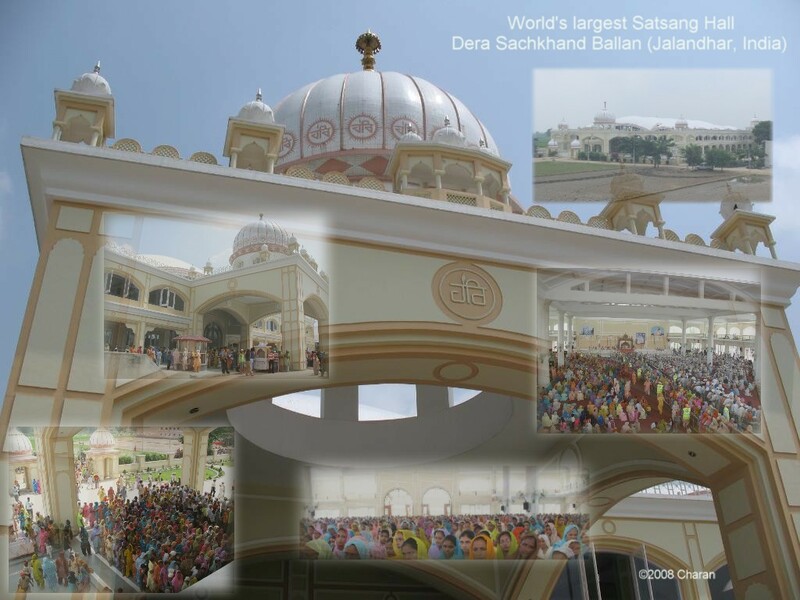 At the instance of Shri 108 Sant Sarwan Dass Charitable Trust U.K. and many devotees of foreign countries the decision to build Satsang Bhawan was finalized. In this process many devotees promised liberal donations for the purpose. Whenever, there was meeting of the Trust and foreign devotees this issue was again discussed at length. Shri Swaran Dass Bangar of village Bal (Chathem kent, U.K.) also attended many such meetings. In the concluding years of the twentieth century, someone proposed the land situated near the Dera and owned by Shri Swaran Dass Bangar as the suitable site for the Satsang Bhawan. After consultation of members of his family, Shri Swaran Dass Bangar offered to donate his 2.5 acres of land and Rs. one lakh for the proposed Satsang Bhawan. Everybody lauded the offer and expressed thanks to the family of Shri Swaran Dass Bangar. The lay-out of the Satsang Bhawan was prepared and it was finally approved in its present shape. The name of the Satsang Bhawan was approved as Shri Guru Ravidass Satsang Bhawan. The foundation of Shri Guru Ravidass Satsang Bhawan was laid on 12th March, 2000 in the presence of thousands of devotees. Once the foundation stone was laid, there was no looking back. There was exuberant enthusiasm amongst the followers of Guru Ravidass Ji for construction of the Bhawan named after Shri Guru Ravidass Ji. Thousands of devotees thronged to the site for taking part in the construction process. Everyone thought that they will be lucky who make manual contribution, whatever little it is, in digging the foundation of the sacred building. Qaumi Shaheed Brahmleen Sant Rama Nand Ji led the crowd in this task. He folded his dhoti. He was seen digging the foundation. Soon he was seen lifting the soil. It was enough for the devotees. Every body vied with each other for carrying tokris full of soil to become fortunate enough. Some were seen digging the soil. Others were carrying the soil. It was, indeed, a memorable scene. It was surprising to note that the foundation of the entire building was dug up in a few days only. The workforce consisting of engineers, technicians, bar-binders, moulders, shuttering workers, machine operators, mistries, skilled and unskilled labour, office staff- all worked tirelessly. Foremen and Project Manager were always on their toe. There were no scheduled working hours. All were working upto late at night. The management had struck the deal with production factories for supply of the quality material; that too at the heavy discount rates. It was indeed a continuing process. Qaumi Shaheed Brahmleen Sant Rama Nand Ji was the Chief architect and executive of the project. It was his dream project. The entire network and material was scanned and monitored by him regularly. He was so busy in the projects that any Dera affair could be discussed with him after midnight only. The process continued. As a result the gigantic building warranting long span of time for its completion was completed in short period. Its dimention is 220’&180’. It is a model of is own kind. There are 4 domes of 16’ height on all the four corners. The dome at the main gate of the Bhawan is 20’ high. The roof consist of 5 arc-curved divisions. Only 12 pillars in all carry the load of the roof. 6 pillars are in one line and 6 pillars are in other corresponding line. The distance of each line of pillars is 80’. There is 80’ long and 30’ wide concrete stage in the Satsang Bhawan. There is long 30’ wide and 134’ long jora-ghar in the basement of main gate. Golden kalshes have been installed on all the four domes in four corners of the Bhawan. In all seven golden kalshes have been installed on 7 domes. The spot will kindle the light and will go a long way in spreading the message of Guru Ji and shaping the abode of his dreams. Shri Guru Ravidass Satsang Bhawan- which was the dream project of Qaumi Shaheed Brahmleen Sant Rama Nand Ji – was inaugurated by His Holiness Shri 108 Sant Niranjan Dass Ji on 15th February, 2007. Incidentally, the occasion coincided with auspicious Birth Anniversary of Swami Sarwan Dass Ji- the pioneer of the Dera. Large number of devotees from Birmingham and other parts of U.K. were also present as this project was virtually sponsored by them. Today this Bhavan outshines all other constructions at the Dera and poses as a wonder structure of Ravidassia community in the world.